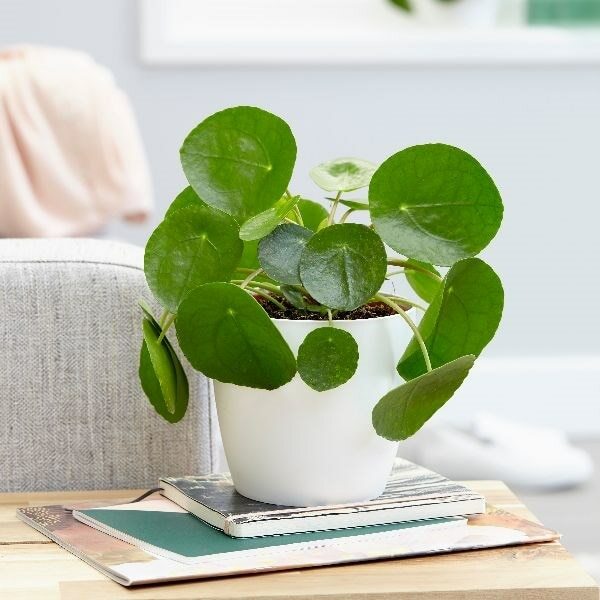 The glossy green leaves of this relatively low-growing houseplant are rounded and have a slightly fleshy texture. They appear on long, slender stalks and forms a loose, rounded dome, which looks quite structured. 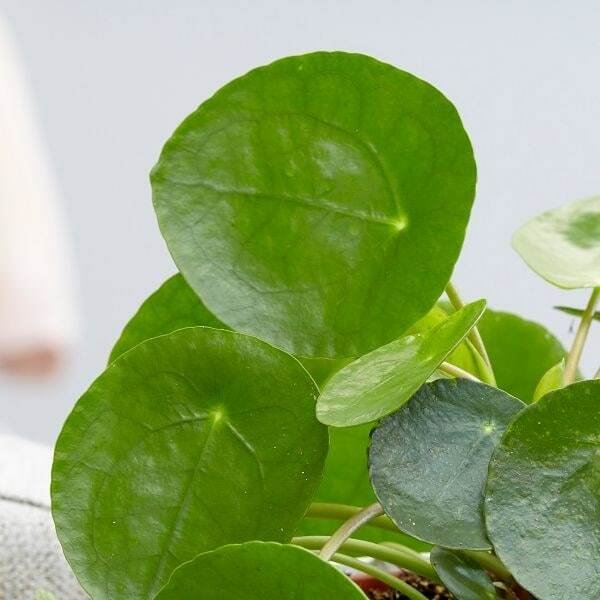 A handsome addition to a window-ledge, shelf or work surface, it is also quite low-maintenance and easy to grow. Please note that the pot in the photograph is not supplied with the plant (which is sent out in a black plastic pot). They do however make excellent potted plants, and if you wish to pot yours up, we do have a wide range of pots on our website to choose from. Home care: Water moderatly during the warmer months, allowing the surface of the soil to dry out in between, but keep dryer in the winter. Mist with water regularly, and shelter from direct sun in the summer.